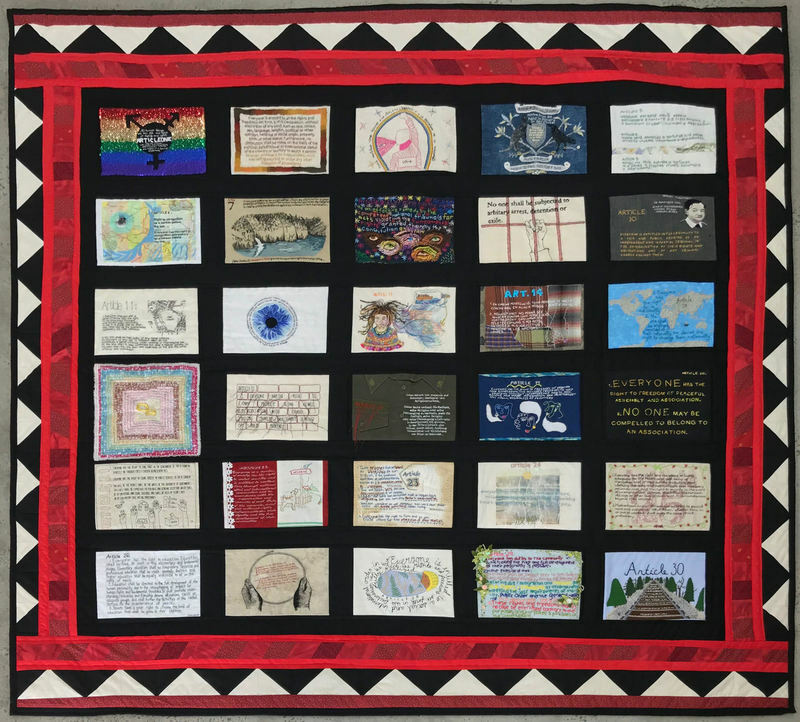 The Universal Declaration of Human Rights (UDHR) Quilt project is a craftivism project that involves 130 artists from 21 countries embroidering all 30 articles of the UDRH to make 4 large quilts. This project is designed to celebrate the Universal Declaration of Human Rights & to raise awareness of the ways it is being violated around the world today. This project is being led by Tal Fitzpatrick & Stephanie Dunlap. You can follow this project as it evolves by searching the hashtag #UDHRquiltproject and #UDHRquilts on Instagram, Facebook & Twitter.